Has your GM been involved in an accident? Auto Collision Specialists offers high quality GM collision repairs to Reisterstown, Baltimore, Owings Mills and the surrounding areas. 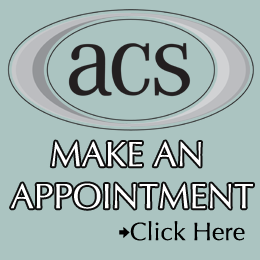 At ACS, we strive to return your vehicle to its pre-accident condition. By following the manufacturers’ guidelines and standards for collision repair, our certified technicians make use of the latest equipment and technology to return your GM to its pre-accident condition. 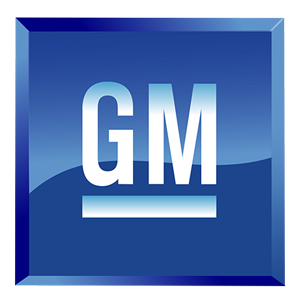 In need of GM repair services? Give us a call at (410) 833-5697 or fill out a form to get a free estimate. By staying up to date on the latest collision repair methods through continual training, our ASE (Automotive Service Excellence) and I-CAR (Inter-Industry Conference on Auto Collision Repair) certified technicians are able to return your GM vehicle to you in a timely fashion without rushing or skipping necessary steps. Being certified in many industry organizations, ACS technicians have the skills and know-how needed to repair your GM according to the manufacturers’ standards. Ensuring your safety when you get back in your vehicle is something we take pride in. Here at ACS, being the best in collision repair means staying up to date on the latest automotive trends. With aluminum body vehicles becoming more popular, we have the capability to provide aluminum body repairs. To properly repair aluminum bodies, our technicians are trained to use the specialized equipment and tools needed to perform this particular type of repair. Our technicians utilize a clean room to ensure that nothing disrupts this process. A great collision repair is more than just a shiny new coat. By using Sikkens, the best waterborne automotive paint on the market, our certified paint technicians can correctly identify your vehicles original color and produce an exact match. 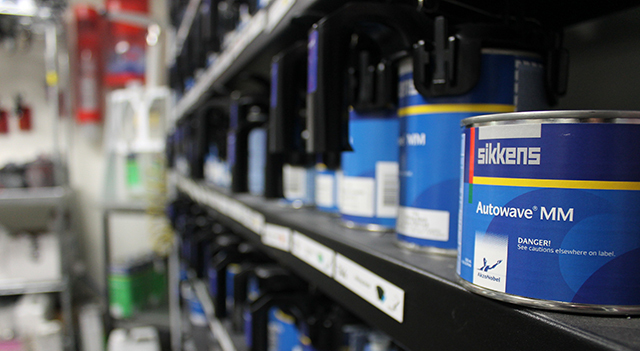 Not only is Sikkens the highest quality of paint on the market, it’s also the most environmentally friendly. With its ability to dry fast at low temperatures, it takes less time to dry saving you time and money. The only way to perform a proper repair is by making all collision repairs according to the manufacturer standards. We believe in using OEM (Original Equipment Manufacturer) parts for their superior quality. Only OEM parts are guaranteed to work with your vehicle to keep it functioning properly. Family owned and operated since 1980, ACS continues to provide Randallstown, Glyndon, Westminster and the surrounding areas with quality collision repair work. We take great measures to ensure your vehicle is safely and properly returned to its pre-accident condition.